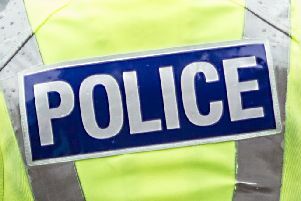 A prisoner released early is back behind bars after a man was injured at a house in Bellshill. Peter Coyle (35), of Watson Street, Motherwell, was jailed for 11 months at Hamilton Sheriff Court. He admitted culpably and recklessly causing injury to James McCulloch in Tollhouse Gardens on March 13. The court heard Coyle slammed a mug on a table, causing it to fly off and hit Mr McCulloch on the head. Coyle had been charged with assault by striking the victim on the head with a bottle, but his guilty plea to the amended charge was accepted. He also admitted breaching bail conditions. Sheriff Allan McKay was told that Coyle was jailed for seven months at Lanark Sheriff Court in December for assault.